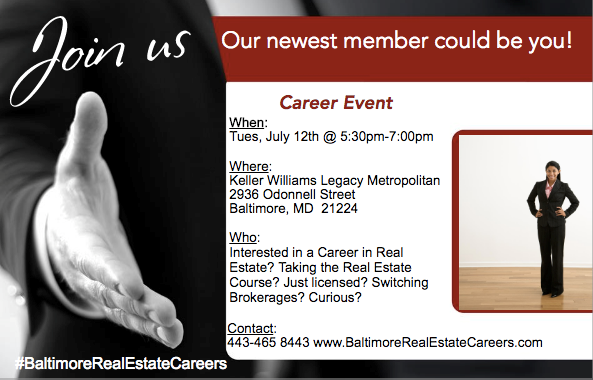 Join us to find out more about how to start a Career in Real Estate, Real Estate classes, and the fees. Learn about Keller Williams and all that we have to offer our agents. Top Training...Your Own Schedule, Profit Sharing + much more!